Birgit W. Patty has studied the eight limbs of yoga since 2000. She practices the Sahaj Marg (Natural Path) system of Raja yoga, as well as Won and Tibetan Buddhist meditations. Ms. Patty also studies Kundalini yoga has completed a course in Nuad Boran (Thai Yoga Therapy) for yoga practitioners and bodyworkers. She is registered with the Yoga Alliance and is a certified Integral Yoga teacher. Ms. Patty is committed to yogic living and to teaching techniques for an integrated yoga practice, primarily concentrating on Hatha yoga. She is the proprietor of Apex Yogic Living, a studio in historic downtown Apex, NC. 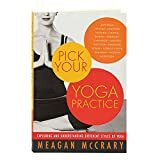 She reviews books about yoga postures, breathing techniques, meditation, schools/traditions of yoga, yogic philosophy, yoga therapy, and yoga research for the New York Journal of Books. After a 30-year career in marketing and communications in the corporate, agency and non-profit arenas, Ms. Patty now works independently as a marketing editor and content developer. She is a current member of the Yoga Alliance, the Integral Yoga Teachers Association, the International Association of Yoga Therapists, and the International Association of Business Communicators. Birgit Patty lost her fight against cancer in November 2015. She was a flawless reviewer and tremendous person with immense generosity of spirit and will be greatly missed. In Restorative Yoga for Life, author Gail Grossman aims to help the reader feel at ease in the body, recover from illness or physical injury, and gain a sense of balance and well-being. “Ms. Isaacs tells us about Eastern teachers trained by yogic masters. In Pick Your Yoga Practice author Meagan McCrary explores several “styles” of yoga. Thousands of years ago, the sage Patanjali set forth the Yoga Sutras, a compilation of yogic principles for living outlined in an ashta-anga (eight-limbed) approach. 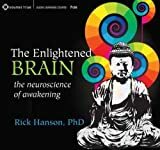 “The Enlightened Brain is beneficial for anyone who feels stuck in a forest of imbalance and wants to ‘cut a path to a better place,’ as Dr. Hanson says. “Why Meditate? is recommended for people who want a meditation practice that is compatible with professional and family life. It’s for people who, as Mr.
“Yoga Heart is highly recommended for people who will not only read the lines for enjoyment, but also use them for contemplation and right action in life. Twenty years ago, the body was “forbidden territory” for psychologists. Various Eastern masters began introducing their yogic teachings in the West in the 1800s. From those dozen or so lineages, myriad Western methodologies have multiplied. There was a turning point in author Cameron Alborzian’s life when he decided to change his role in the material world forever. On the cover of The Mirror of Yoga, there is a photographic demonstration of Gomukhasana, cow-face pose, shot against the infinite sky. A month before he left this life in 1989 at the age of 101, yoga master Sri Tirumalai Krishnamacharya told author A. G. Mohan what is most important in life: “Arogya. Ayus. What happens when humans breathe? When we inhale, do we pull or push the breath? Neither! 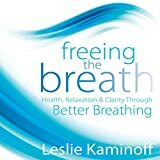 When humans breathe, air is pushed into the body by atmospheric weight. It’s simple: stretching is essential for well being. Understanding that thought is easy. 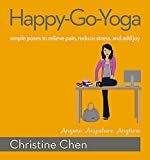 Regularly stretching, however, can be a challenge; and this book is here to help.